Remove Toxic Mold From Your Home For Good! Proudly serving the greater Ottawa region or over 15 years. Mold can be dangerous to certain individuals, that being said if treated and handled correctly it can be removed permanently from your home or business with the help of a certified professional. On this page, you’ll find everything from how mold starts, to when to hire a specialist vs. doing it yourself. You’ll also learn about the implications as well as many other questions we frequently get asked. Mould exists everywhere in nature both inside and out. Mold is part of our everyday life and it can actually both good and bad. For example, mold found outside your home such as in composting or in the production of beer, wine, or cheese is quite common and certainly not harmful. On the other hand, when mold is discovered within the home, it is a completely different story. Mold can decompose building materials, structures, causes allergic reactions and can make you very sick. Active mould growth occurs due to high moisture and/or extended higher humidity levels in the residence or business property. 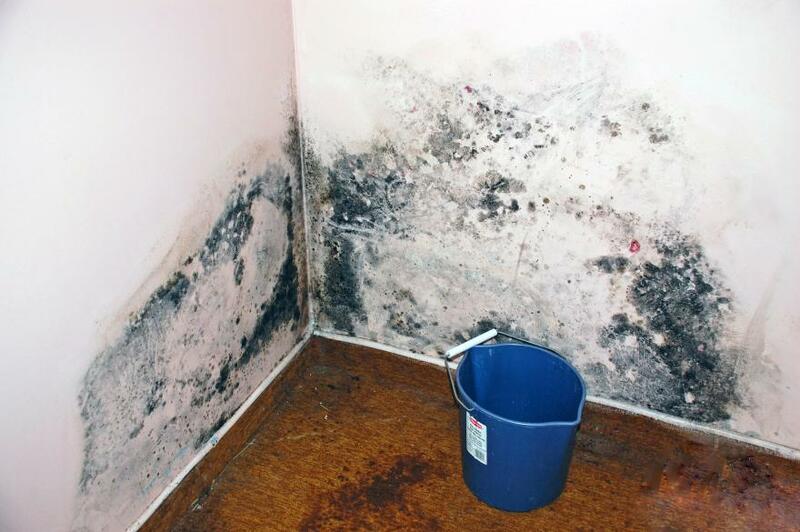 Mold growth occurs from excessive moisture or high humidity in the home or business property. When moisture happens mold will flourish. Situations such as flood, pipe burst, overflow or poor ventilation are all causes of excessive moisture. The key to keeping a home mold free is by not allowing excessive moisture. This will ensure a long-lasting and healthy home. Over the past decade, mold removal technology has evolved so much that companies are now able to deal with some of the most dangerous situations in a matter of hours. Level 1, 2, and 3 are the different conditions of Mold Contaminations. Level 1 being least and Level 3 being most severe. Level 1 Mold contamination is less than 10 Sq. feet. 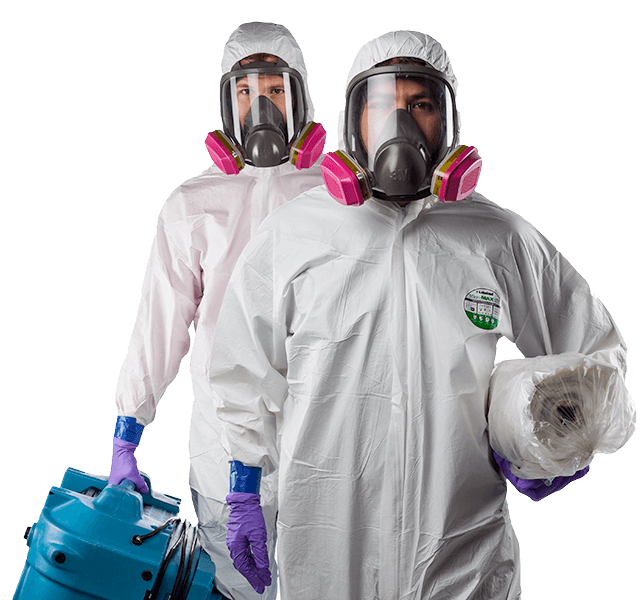 Anyone who is healthy with the appropriate protective equipment, (HEPA Mask, Tyvek Suit and goggles) and some basic knowledge can take care of this situation relatively easily. For the most part it is not worth the client’s time to hire technicians like ours for this as it would be too costly for how easily it can be removed. 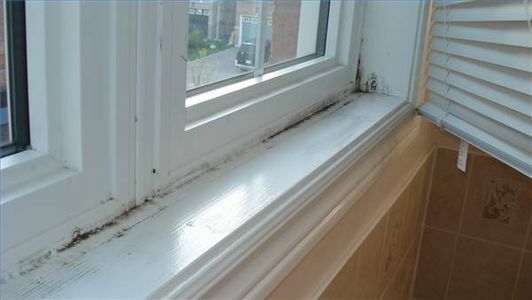 Common examples of Level 1 Mold would include: Shower Tile Mold, Small leak from plumbing on cupboards in the kitchen, Window sill mould, ect..
Level 2 Mold Contamination is any visible growth ranging from 10 to 100 Square feet. At this level, specialized equipment is needed. PPE and safety gear as well as a certified experienced team are mandatory in types of situations. We recommend that at the very least the technicians should have IICRC Certification of Applied Microbial Remediation Technician (AMRT) in order to be qualified to be performing Mold Remediation Services. The reason for such a serious level of safety is because the exposure can be extremely dangerous for your health. Some experts compare this exposure to smoking 300 cigarettes in 30 seconds (it’s that bad!). It’s the amount of mould spores you will be inhaling which can trigger a series of health problems (i.e. Sore Throat, Infections, Allergies and Asthma). As well, you risk spreading mold throughout your home creating mold growth in other non affected areas. For this reason the guidelines are set in place for mold abatement; to protect the technicians as well as the occupants without cross contamination of the home. This is a most severe situation, it would require you call a specialist immediately. Especially if you work or live in an environment like this. Shown Here Below is a Photo of what Condition 3 mold growth contamination would be like. 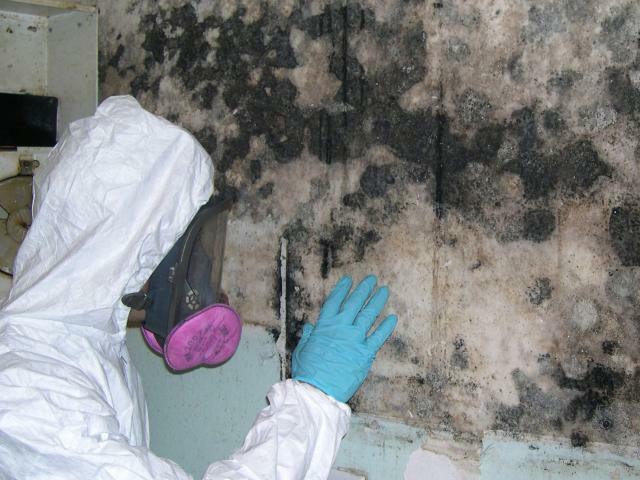 Mold remediation also known as Mold Abatement is the process in which visible and non visible mold growth is removed without cross contaminating other areas of the property while ensuring the safety and protection of all technicians and occupants. These black and toxigenic molds can be found in your bathroom, basement, attic.. basically everywhere in your living space that has been affected by excessive or sudden moisture. A successful mold remediation or abatement will not only remove the contaminants, but also address the cause of moisture issues that initially caused the mold growth. This is essential as mould is caused by high moisture on organic materials typically found inside of a house or business. Every mold removal or remediation project is distinctively different by the moisture causes as well as associated damage. It’s therefore best to have it done by certified and experienced experts with specialized equipment. Please Contact Us ASAP If You Need a FREE Mould Remediation Consultation. A Mold Problem can be a very serious situation therefore requires immediate attention. Simply fill in the contact form below with your request and information or call us directly. We usually respond very promptly and can often book an inspection within 24 to 48 hours. This was a very big problem for me. I am recovering from cancer surgery and I discovered mold throughout my basement. I needed it taken care of ASAP. Dean came over right away and confirmed my situation as a level 2 mold condition. He gave me an estimate on the spot and by the next day had a team of very nice guys and gals in working furiously on my basement. I am happy to say everything turned out well, the work was done very professionally and I am living in a healthier home. Efficient and well organized. The inspection really put my home's condition in proper perspective. I needed to have the mold removed from my attic as a condition of sale of my home. These guys exceeded my expectation both in timeline, price, and service was excellent. 5 stars across the board!! Fantastic Job Guys! My Attic and Washroom are Mold Free Again! A Weight off my Shoulders. From beginning to end I recommend Dean and his crew. From the moment I spoke with him on the phone it showed that he truly cared. He reassured me that everything was going to be ok. Response time was same day, and by the following day the crew had already started to work on my home. I have 2 young children and their health is the most important thing for me. The work was done very well, and he walked me through the entire process so I really understood what they were doing and why. I can't thank them enough. Very pleased with the work that was done. The team was super friendly and kept me informed of each step. I had a clearance air test done at the end of the work and it passed with flying colors!